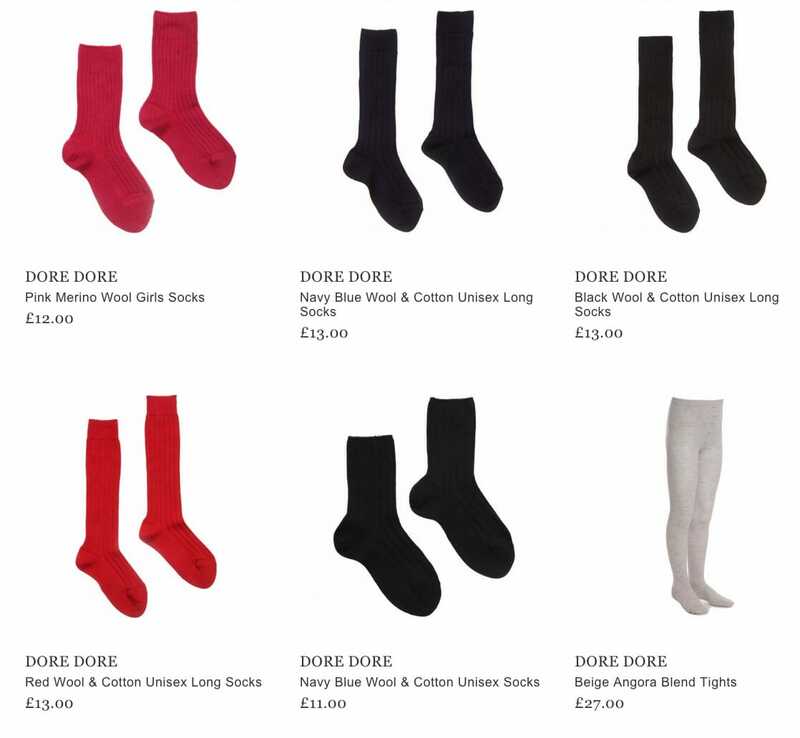 Dore Dore, a well-known French brand of socks, has been producing outstanding quality socks and tights of exquisite designs and only from the finest materials for almost 200 years (since 1819). Today, it offers unique products for men, women and children that combine authentic comfort and quality with attractive and innovative styles and bright colors. If you have a busy lifestyle, you probably know it well that the comfort of your feet is very important, but if you buy Dore Dore products, you and your child will also love the multi-stripes, pixel stripes, bubbles, glitter dots and flowers, losanges, stars or blocs designs. Discover the smooth and superior quality of the best materials in the world: Egyptian cotton, Australian merino wool, Angora wool, Cashmere wool and silk. These natural materials feel soft, supple, light and gentle, are breathable and can absorb moisture, providing the ultimate comfort for your feet. The extraordinarily soft wool does not “itch” and ensures that your feet stay warm and dry. A reinforced heel and toe for maximum strength and durability, a supple top, non-binding socks, non-slip socks, anti-perspiration socks, tights, knee high socks – and much more for your comfort to discover and enjoy when you buy Dore Dore for the whole family.